Before asking your PCB manufacturer to mass produce printed circuit boards, you’d better to fabricate a PCB prototype which can check if your PCB design is correct. 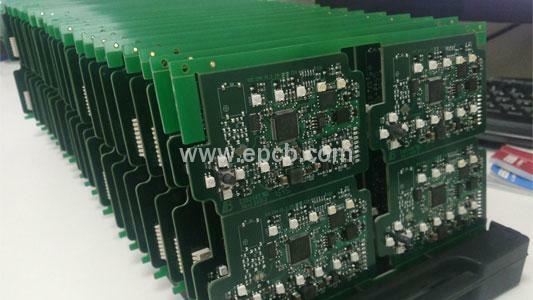 If the PCB prototype is able to work as expected, then it’s time to do mass production. If not, then you should adjust your design and re-make a prototype. There are a few preparations for you to take into account before mass producing your printed circuit boards. Assembly Instructions-- There are occasions where you need on-board jumpers to be soldered or certain components which is not used usually. Be sure to write these down in a spcial assembly instruction list to avoid any miscommunications. BOM List-- A bill of material list is important for your PCB assembly services supplier to cross check and make sure that all components your required installed on finished PCB boards. Manufacturing Files-- Assembly placement machines relied on manufacturing files to place components accurately on your PCB. Do ensure that you are sending the same files that you used for the PCB manufacturing to your assembly supplier. QC Test-- You’ll need to prepare a test procedure if you need some basic functionality test run by your PCB supplier. Sample PCB-- Errors may be largely reduced if you can provide a successful PCB prototype to your PCBA supplier. It can directly tell them the right place of each componenet. Stencil-- If you have surface mounted components on your board, you will need to order stencil. It’s better to place a large volume in one supplier, so you can save some cost.